In this astounding book Charles Berlitz reveals the results of his underwater explorations to present formidable evidence for the truth of the legend and its fabled site. 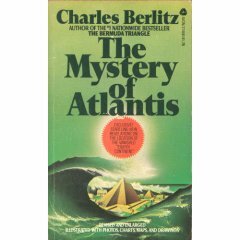 Scholar, linguist, traveller, author of the number one bestseller THE BERMUDA TRIANGLE, Berlitz has traced the history of the "mythical" Atlantis, produced electrifying evidence that the "lost continent" was indesputably real - and now, in this book, he reveals stunning new details about underwater ruins found only recently in the exact locations reported by the ancients to be the site of the actual Atlantis! Häftad/paperback, 206 sid., illustrerad, Granada 1981. Fint skick. Omslagets layout skiljer sig från bilden.